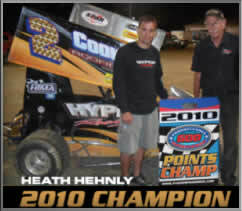 Heath Hehnly from Manheim, PA was crowned the champion of PA 600 Speedweek for 2010. 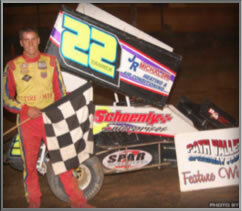 Hehnly made every A-main and scored one victory during the week-long series. In Race #1 at Trail-ways Hehnly finished 6th. In Race #2 at Lincoln Speedway Hehnly finished 2nd. In Race #3 at Path Valley Hehnly finished 5th. 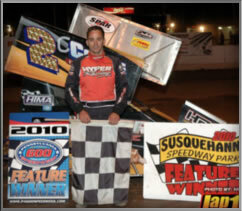 In Race #4 at Susquehanna Hehnly won and at Race #5 at Linda's Speedway Hehnly finished 10th. The battle was tight all week long but Hehnly finished all the races in the top 10 and 3 in the top 5. With stats like that, the number 2C was hard to beat. Congratulations to the entire 2C Racing Team. 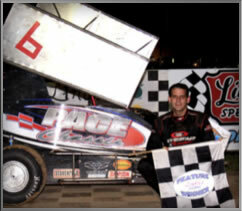 • 2010 Florida Winter Nationals points champion also won all 3 main events with a SPAR Engine. 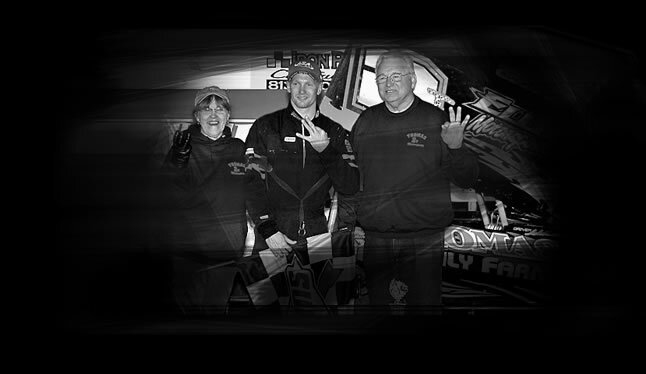 • Kenny Brewer won the 2010 New Mexico Mini Sprint Points championship with his SPAR Engine. • 2010 -Over 170 known Feature Winners choose SPAR Racing Engines as their engine choice. 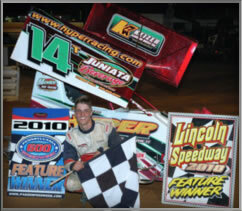 • All 2010 Speed week Feature Winners crossed the finish line with a SPAR Engine. Brewer are a few of the many SPAR Track points championships . • Over 140 known feature wins for the 2009 season. all crossed the finish line with SPAR RACING ENGINE strapped to their chassis. 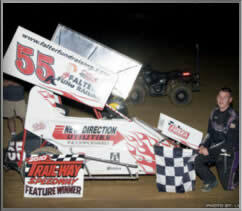 Brian Racine in the 600cc and the 1000cc are the start of the long list of SPAR Track Champions for this year. • Robbie Kendall won the 2008 Speed Week Showdown with a SPAR Engine. • The points Champion for the 2008 Florida Winter Nationals drove with a SPAR Engine. • SPAR Engines won over 100 local wins in 2008. • The 2007 Hyper Team won the 600 Showdown with a SPAR Engine. • In 2007, all 6-600 speed week team winners all had a SPAR Engine.